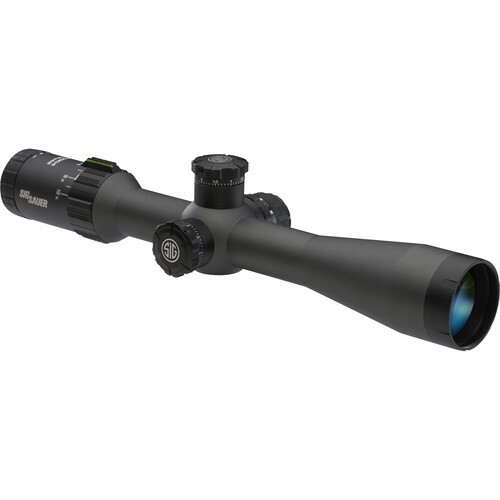 3-12x42 TANGO4 Tactical Riflescope (MRAD Milling Illuminated Reticle, Graphite) is rated 5.0 out of 5 by 1. Rated 5 out of 5 by Geind14 from Love locking turrets The turrets are really thought out in my opinion, the SBT turret is spot on out to 500 yards farthest I've shot so far and the locking turrets give me the confidence that my elevation and windage do not move till I munipulat them. The glass seems really crisp and clean, the recticle is nice would like to see the center aiming point a little more distinct from rest of recticle though. Illumination is not for day time use, really nice scope for money well worth it.